Small-sided games have been suggested as a viable alternative to conventional endurance training to enhance endurance performance in youth soccer players. This has important implications for long-term athlete development because it suggests that players can increase aerobic endurance through activities that closely resemble their sport of choice. The objectives of this meta-analysis were to compare male youth soccer players’ adaptability to small-sided games vs. conventional endurance training and to establish exercise prescription guidelines for this population. The data sources utilised were Google Scholar, PubMed and Microsoft Academic. 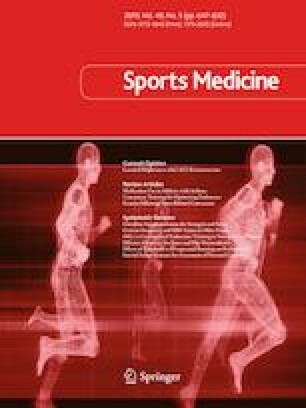 Studies were eligible for inclusion if interventions were carried out in male soccer players (aged < 18 years) and compared the effects of small-sided games and conventional endurance training on aerobic endurance performance. We defined small-sided games as “modified [soccer] games played on reduced pitch areas, often using adapted rules and involving a smaller number of players than traditional games”. We defined conventional endurance training as continuous running or extensive interval training consisting of work durations > 3 min. The inverse-variance random-effects model for meta-analyses was used because it allocates a proportionate weight to trials based on the size of their individual standard errors and facilitates analysis whilst accounting for heterogeneity across studies. Effect sizes were represented by the standardised mean difference and presented alongside 95% confidence intervals. Seven studies were included in this meta-analysis. Both modes of training were effective in increasing endurance performance. Within-mode effect sizes were both of moderate magnitude [small-sided games: 0.82 (95% confidence interval 0.05, 1.60), Z = 2.07 (p = 0.04); conventional endurance training: 0.89 (95% confidence interval 0.06, 1.72), Z = 2.10 (p = 0.04)]. There were only trivial differences [0.04 (95% confidence interval − 0.36, 0.43), Z = 0.18 (p = 0.86)] between the effects on aerobic endurance performance of small-sided games and conventional endurance training. Subgroup analyses showed mostly trivial differences between the training methods across key programming variables such as set duration (≥ or < 4 min) and recovery period between sets (≥ or < 3 min). Programmes that were longer than 8 weeks favoured small-sided games [effect size = 0.45 (95% confidence interval − 0.12, 1.02), Z = 1.54 (p = 0.12)], with the opposite being true for conventional endurance training [effect size = − 0.33 (95% confidence interval − 0.79, 0.14), Z = 1.39 (p = 0.16)]. Programmes with more than 4 sets per session favoured small-sided games [effect size = 0.53 (95% confidence interval − 0.52, 1.58), Z = 0.98 (p = 0.33)] with only a trivial difference between those with 4, or fewer, sets [effect size = − 0.13 (95% confidence interval − 0.52, 0.26), Z = 0.65 (p = 0.52)]. Small-sided games are as effective as conventional endurance training for increasing aerobic endurance performance in male youth soccer players. This is important for practitioners as it means that small-sided games can allow both endurance and skills training to be carried out simultaneously, thus providing a more efficient training stimulus. Small-sided games offer the same benefits as conventional endurance training with two sessions per week, with ≥ 4 sets of 4 min of activity, interspersed with recovery periods of 3 min, recommended in this population. Jason Moran, Richard C. Blagrove, Benjamin Drury, John F. T. Fernandes, Kevin Paxton, Helmi Chaabene and Rodrigo Ramirez-Campillo have no conflicts of interest that are directly relevant to the content of this review.